If you follow our blog, you know that last month we wrote an open letter to Flint, MI residents proposing RainSaucers as a solution to their water crisis. The proposal was not for charity but we did offer free shipping and some pretty clear direction as to how rainwater could vastly improve their situation. The response on Facebook was mainly positive- lots of likes and shares, etc. but unfortunately, no takers. We also forwarded our proposal to various agencies involved and the response was mainly the same- thanks, but no thanks. - one Flint resident thought that were just trying to take advantage of the situation to make a profit. We advised her that we are still a part-time "social venture" that barely covers our costs as it is. 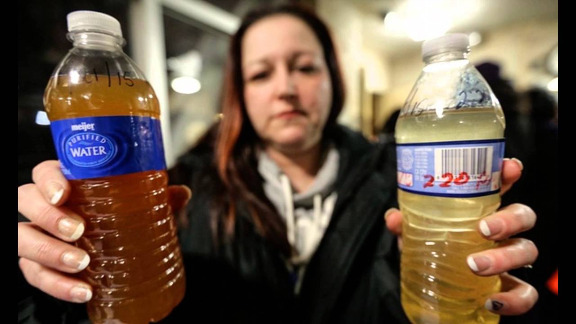 - several Flint residents thought that rainwater collection was federally illegal (categorically untrue). This sparked outrage from other Flint residents who couldn't bear the thought of being burned by both local water agencies and federal ones too. - another Flint resident who was already knowledgeable about rainwater harvesting (he had a system already in place) called our system inefficient in comparison to roof based collection. We explained that while a roof collects more water, that water is not fit for human consumption. He still was not convinced and would not concede we had any benefit for Flint even though we had a study behind us. Yet we are still not going to give up on Flint. One resident community organizer there seemed interested in a pilot project with us and we are hopeful we can eventually get something going. It would be nice to take advantage of the Spring rainy season but if not this year we'll try again the next.